Learn how to make an underwired bra in a private one-to-one session. Benefit from our undivided attention and come away with a beautiful, well fitting bra! You will sew one full cup underwired bra using the Cloth Habit Harriet Bra pattern over a full day session with us. You will need to provide your size before class so that we can prepare the pattern for you (we will help with measuring). 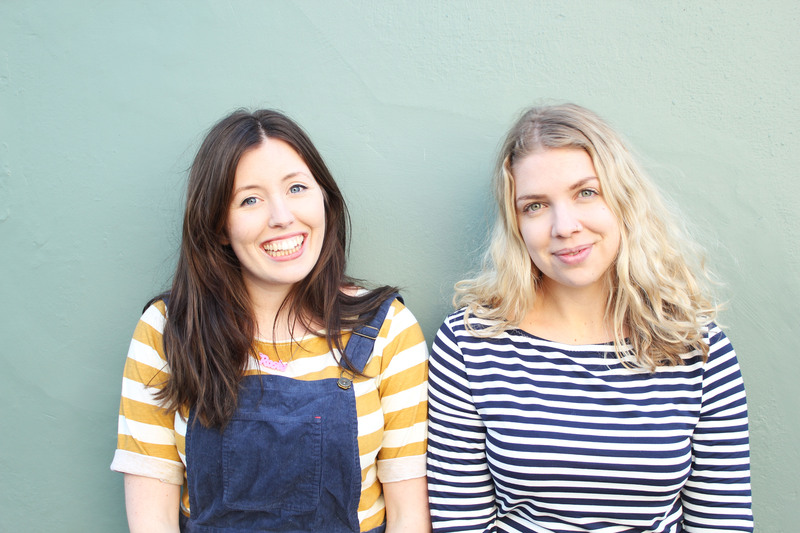 The class will be taught by Hannah and Rosie from The New Craft House ad will take place in our studio at Arch 359, Westgate Street, London, E8 3RN. You will leave the class with a complete underwired bra and the confidence to make lots more! The Harriet bra has a three piece cup and is available from size 28A-42H. The class includes all materials and supplies, you'll get a pre-cut Harriet bra pattern to take away and we'll send you a link to download the full pattern after the class. We recommend that you bring along your own sewing machine to learn on, but we have Janome machines to use if you are unable to bring your own along. Photos are from our group Bra Making Classes. The private sessions are held in our smaller studio space next door, it's where we do most of our work and is much cosier for just a few people! The New Craft House is owned and run by Hannah and Rosie! Their beautiful studio just off Broadway Market is their space for sharing all their crafty projects along with a few other things they love. Their aim is to use old crafting techniques in more modern and stylish projects, as their tagline says – old crafts for the new generation! 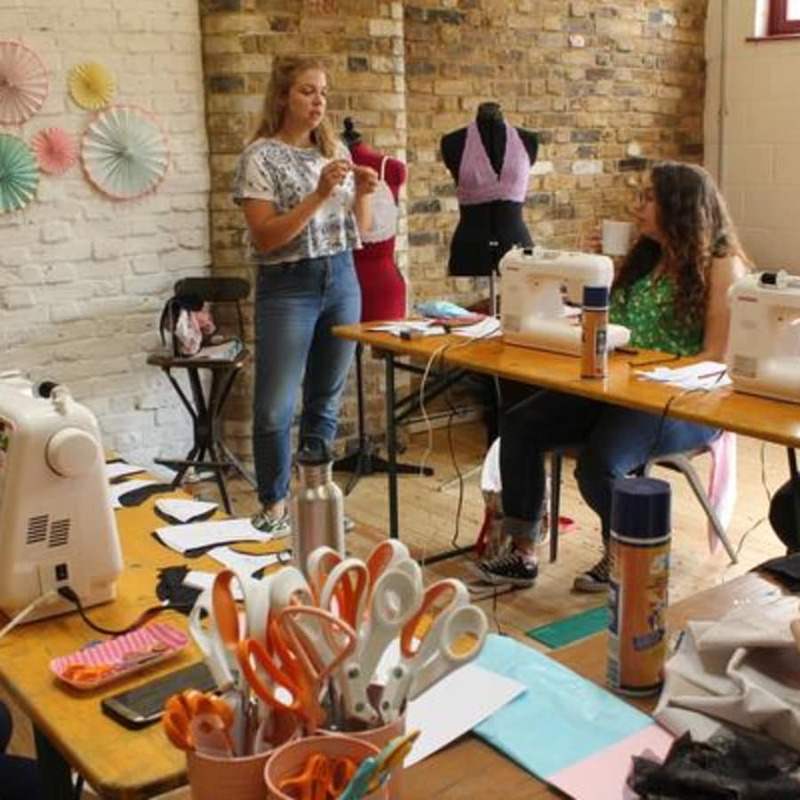 Hannah and Rosie have a beautiful teaching space and run some amazing workshops - everything from bras and tops to hats and mitts! Get yourself down to their beautiful space to learn all the old crafts for the new generation!